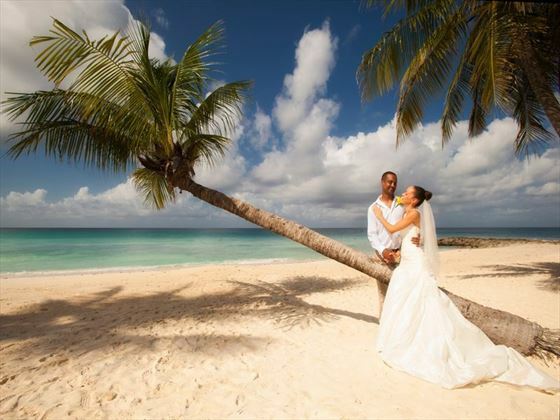 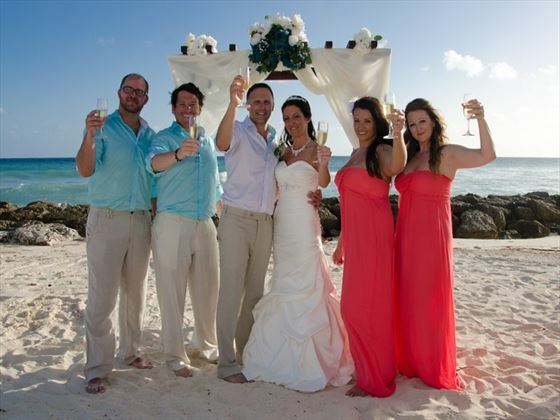 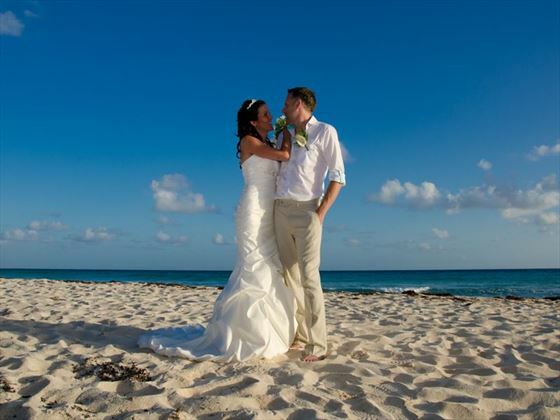 Choose a beach wedding, situated on a secluded beach, the powder white sand of Dover and the turquoise colors of the sea provide a magical backdrop for your special day. 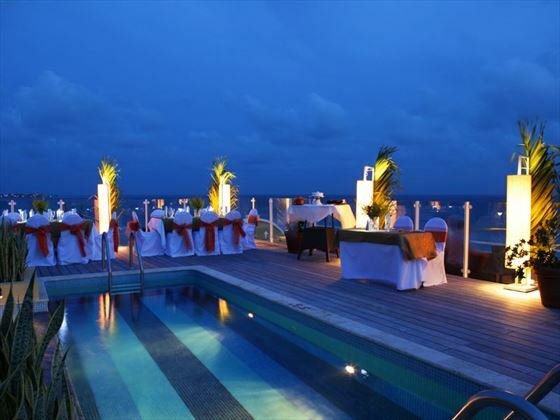 Or a poolside wedding perhaps? 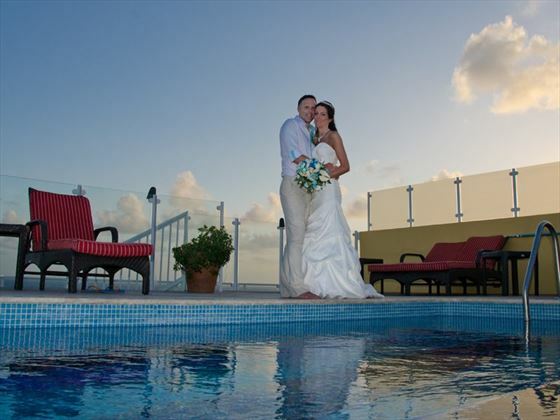 The beachfront pool is 150ft long with a bridge over the center and an expansive pool deck for your special memory or for a more intimate setting on the pool deck. 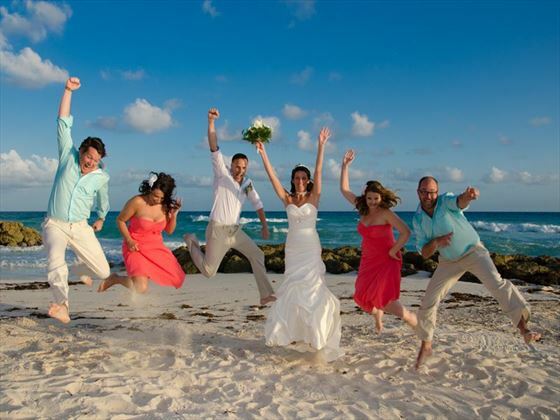 If you choose the Luxury wedding, then why not have the rooftop patio? 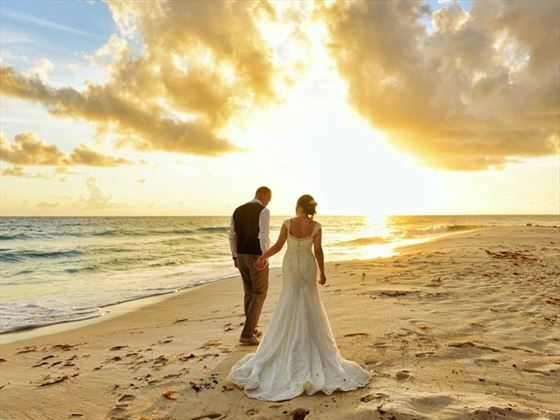 Stunning at any time of the day but particularly at sunset, the rooftop patio has 180 degree views of the south coast and breathtaking waters of Oistins Bay. 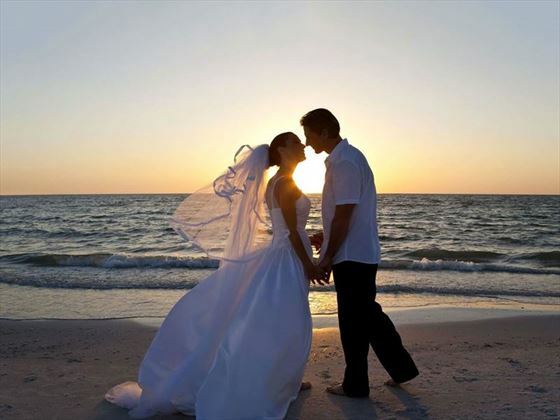 This unique location is eight storys in the air and is the closest to heaven you can be to start your union.